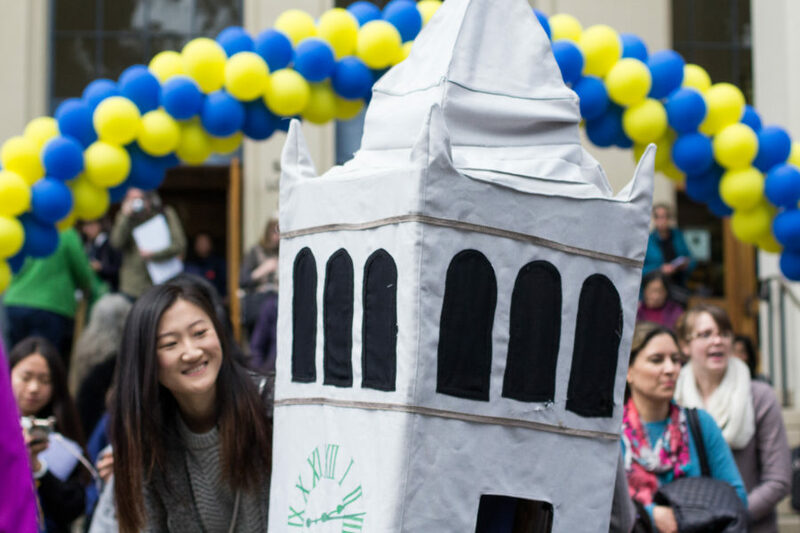 On March 23, alumni returned to UC Berkeley to celebrate the university's 150th birthday. 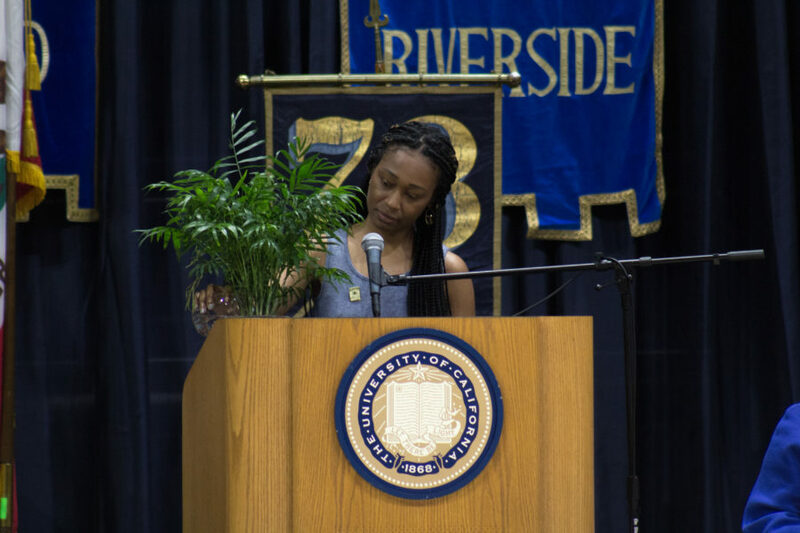 ASUC president Zaynab AbdulQadir-Morris pours water into her plant as the crowd says, "Ase," or "So be it." 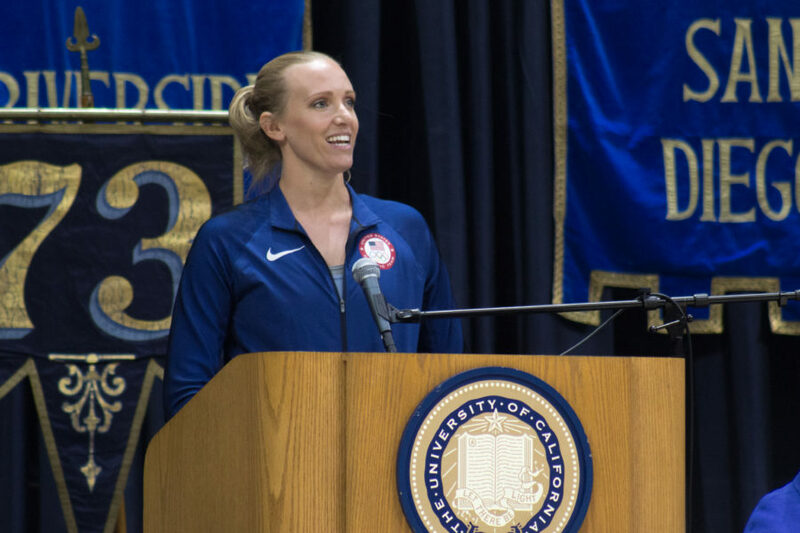 Three-time Olympian Dana Vollmer shares the impact that UC Berkeley has had on her life. 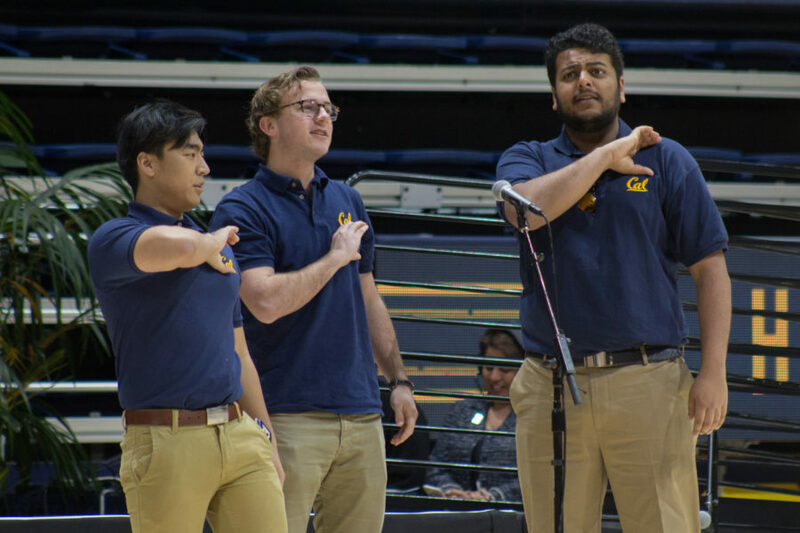 The UC Men's Octet performs for the crowd. 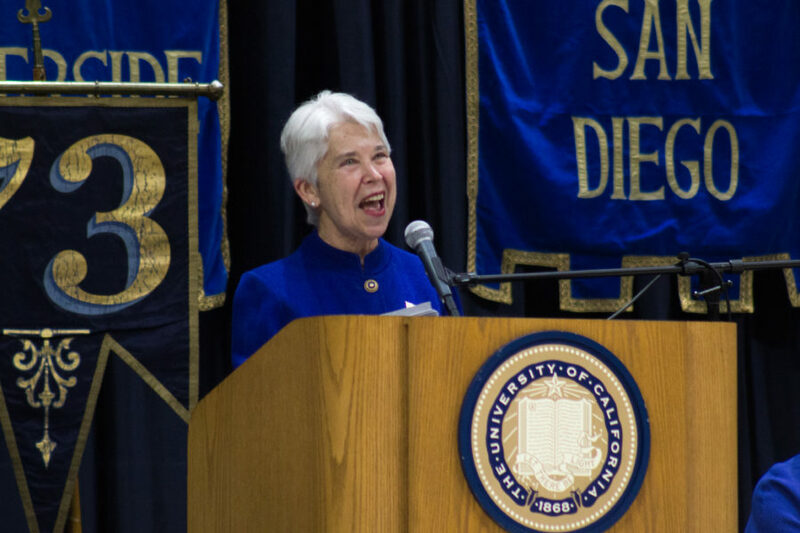 Chancellor Carol Christ delivers the ceremony's keynote address. 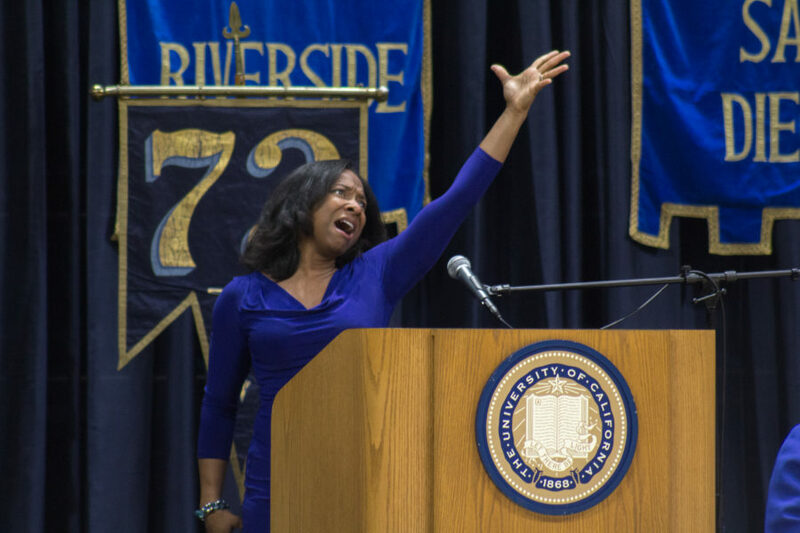 Candace Johnson of the music department performs "The Impossible Dream." 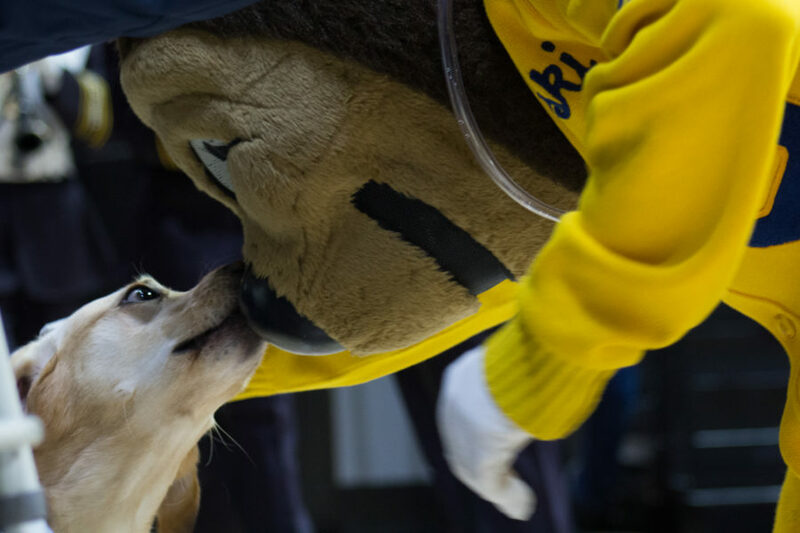 Oski shares a moment with a member of the audience. 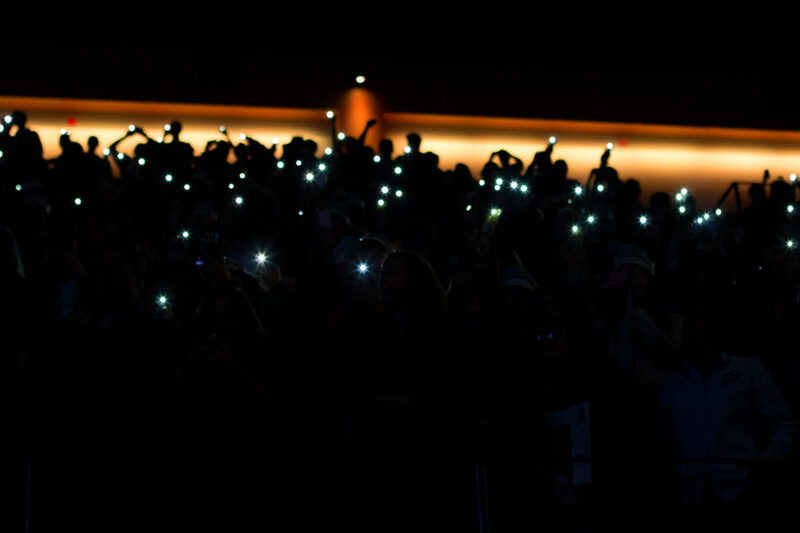 Members of the crowd wave their phones in the darkness. 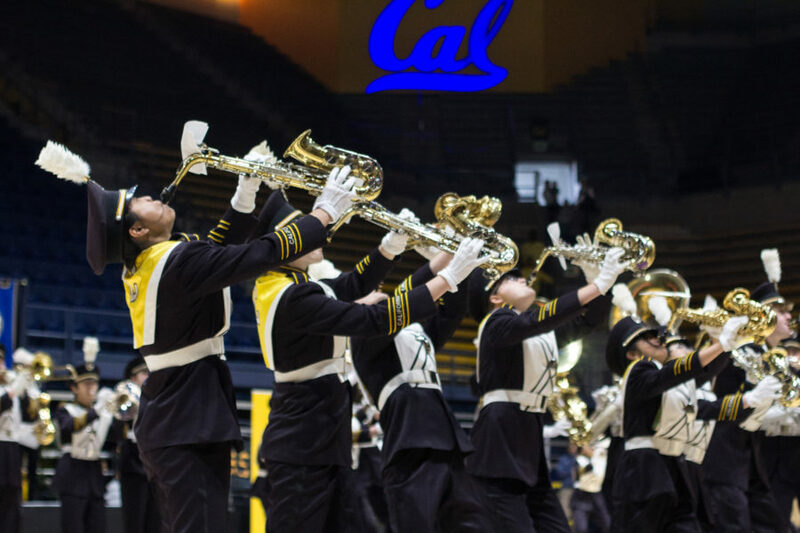 Cal Band performs "Take on Me" during the ceremony. 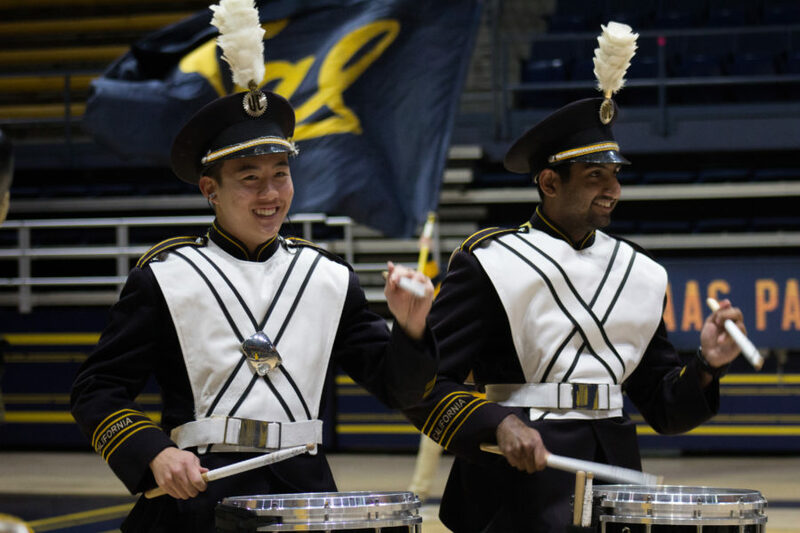 Cal Band drummers smile as they perform for the crowd. 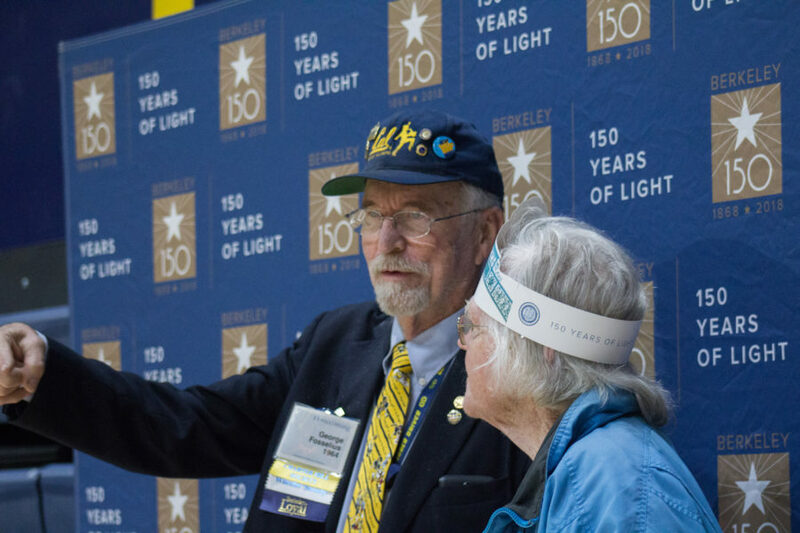 1964 alumnus George Fosselius poses for a photo in front of the commemorative backdrop. 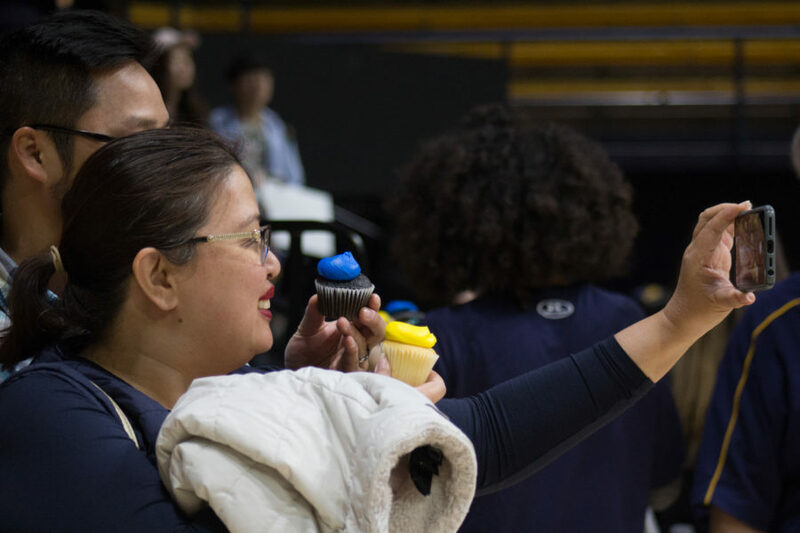 Attendees take a selfie with their blue and gold cupcakes. 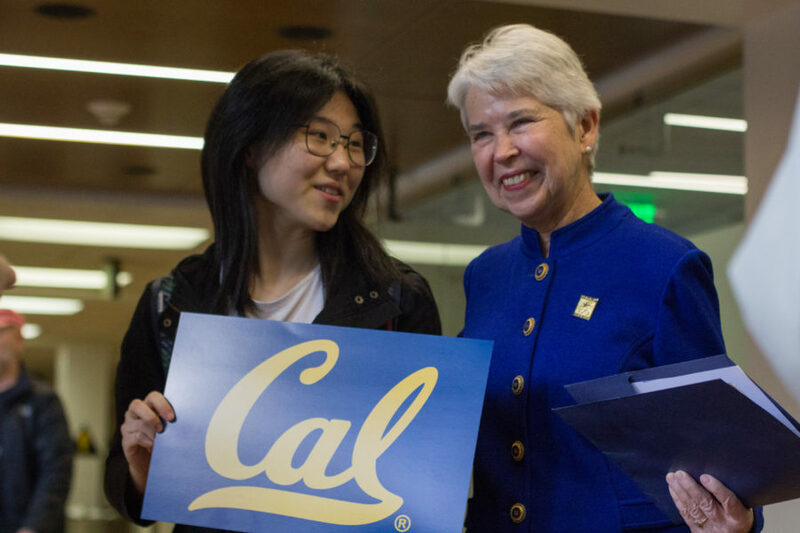 After the ceremony, a student poses for a photo with Chancellor Carol Christ. 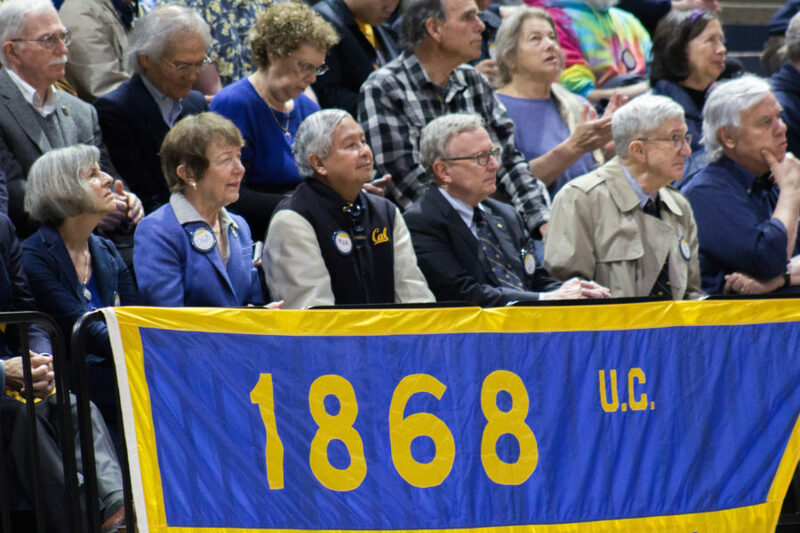 An alumna takes a picture with the commemorative poster outside Haas Pavilion. 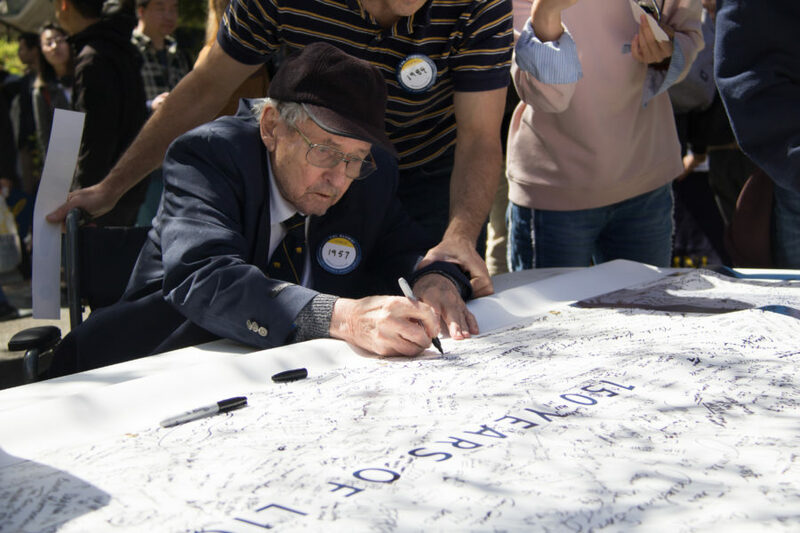 A 1987 alumnus signs the Cal Alumni Association's Charter Day poster. 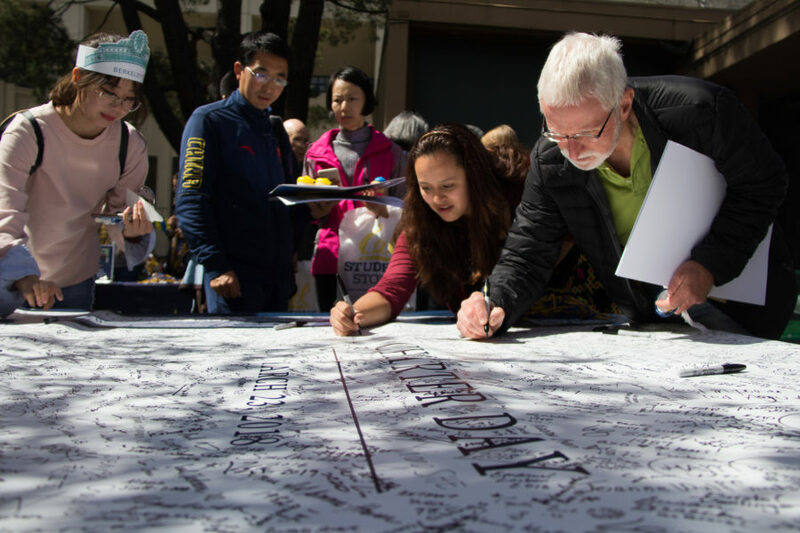 Attendees sign the Cal Alumni Association's Charter Day poster. 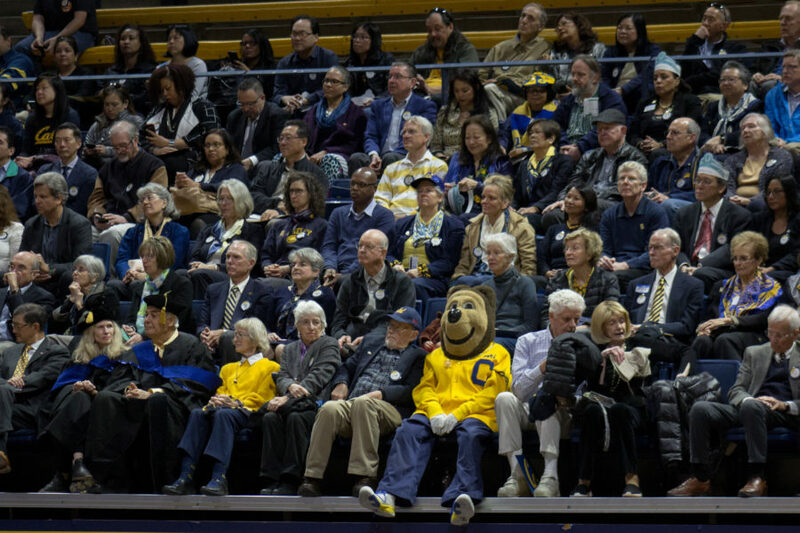 On March 23, alumni, students and faculty gathered in Haas Pavilion to celebrate UC Berkeley’s 150th birthday. 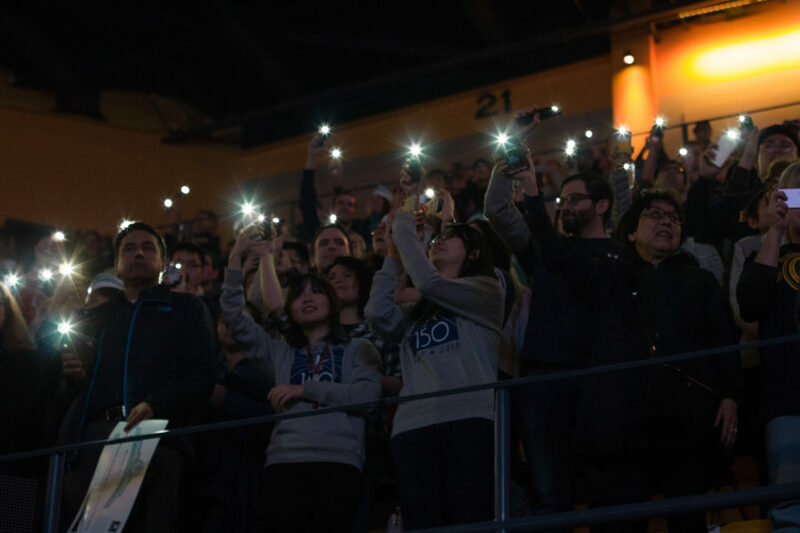 Speakers reminisced about the university’s history and student groups performed its most notable tunes. 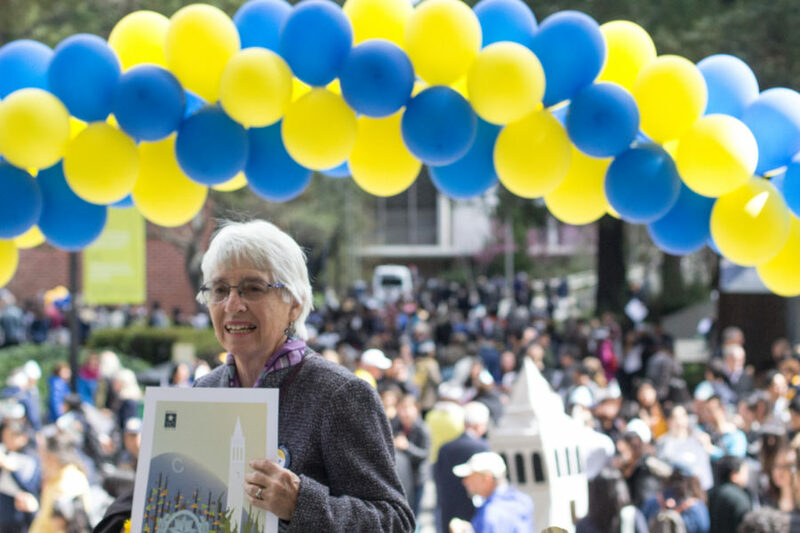 Afterwards, attendees continued the party in Spieker Plaza, mingling with fellow attendees, posing for photos with their blue and gold cupcakes and signing their names on a commemorative poster.